Home > News > Admissions Stories > Should I Choose An MBA Or A Masters In Management? Should I Choose An MBA Or A Masters In Management? It’s time for the BusinessBecause Applicant Question of the Week. 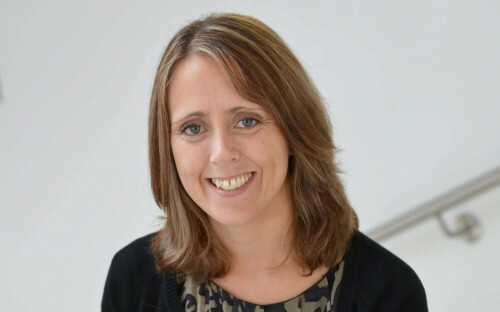 This week’s question is answered by Karen Barker, director of recruitment and marketing at Warwick Business School. Karen's previously worked in the career services department for full-time MBAs at Warwick and has also headed the graduate recruitment team for Deutsche Bank. I'm a marketing professional looking to further my career with another degree. Is an MBA or Masters in Management best for me? The courses are designed for people at different points in their career. The MSc Management is aimed at recent graduates and early career professionals who are high potential and have strong leadership and career aspirations. This course is designed to help students get their first management level job and we welcome applications from all disciplines including arts, social sciences, humanities, engineering and mathematics. Those with a minimum of three years professional business experience should aim for an MBA. Our MBA is based around the idea of participants reflecting on what they have achieved in the past, discussing and debating their experiences in the classroom during interactions with the faculty, peers and visiting speakers from industry. To move up the managerial ladder and head towards the boardroom then the MBA provides the all-round skills and knowledge, covering subjects like leadership, strategy and organisational behaviour. There are three modes of MBA and they tend to attract a different type of candidate. The full-time MBAs are usually younger, the average of last year’s cohort at Warwick Business School was 31. Executive MBA and Distance Learning MBAs require a minimum of four years managerial experience and the part-time nature of the programme allows candidates to continue working while studying. An MBA presents an exciting opportunity to take stock and potentially change sector, country, function and for some all three. Syndicate group work is an essential part of the MBA experience, allowing participants to perfect their presentation and negotiation skills, while developing collaborative learning from peers who have extensive experience working in different sectors, countries and roles. MBA candidates are generally looking to make a change in their career and are offered dedicated careers support, one-to-one coaching, and access to professional development. It is a truly transformative experience offering intellectual challenge and a lifelong network. Next week, we’re giving you the chance to ask Benoit Banchereau, responsible for admissions, marketing, and communications at HEC Paris, anything you want to know about getting into business school. Benoit has worked in the admissions department at HEC Paris for three years. He previously worked for AT Kearney as a director of marketing and communication. Got a question for Benoit? You can get in touch on our Facebook, Twitter or LinkedIn pages, email us at info@businessbecause.com, or simply post a comment in the box below! I Have A Low GPA—Will I Still Be Accepted Into The MBA At HEC Paris?